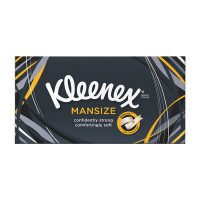 Extra strong and extra large, this box of 90 Kleenex Mansize Tissues is ideal for catching coughs and sneezes wherever you are. 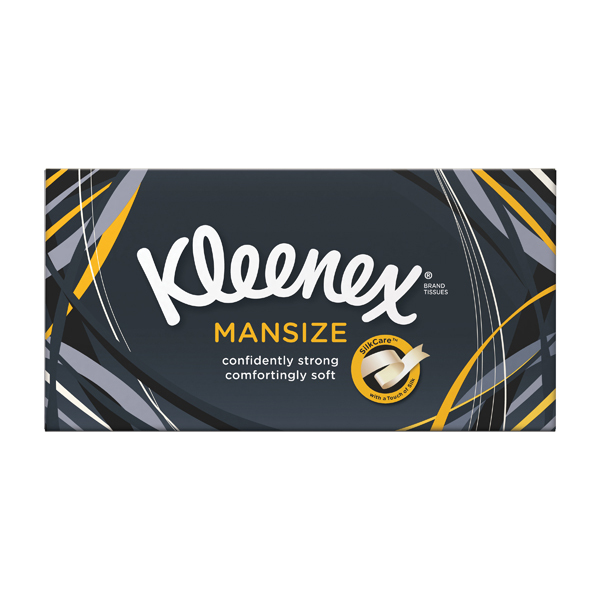 Just because they're mansize doesn't mean they're not soft; with a comforting absorbent texture and strong construction for the worst of colds. The handy box dispenser is great to keep on your desk at work or at home for instant access.